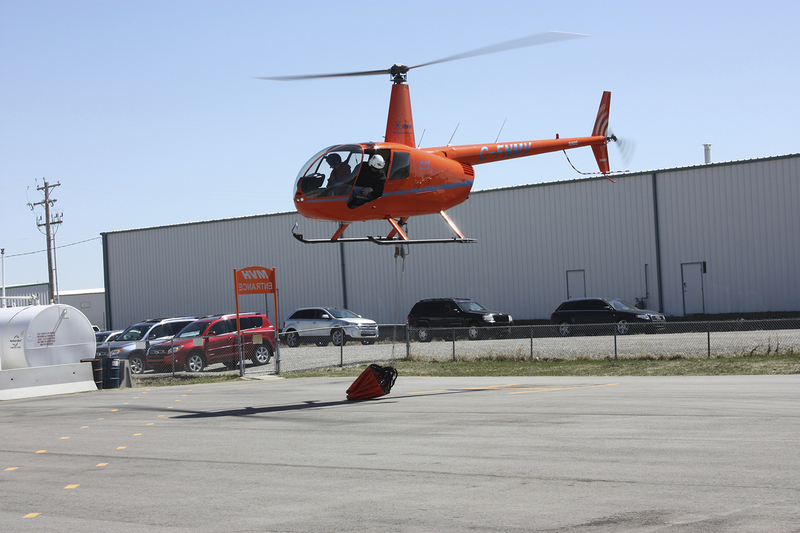 Mountain View Helicopters prides itself on being the highest quality helicopter training school available in Canada. Our unique location on the eastern edge of the Canadian Rockies allows our students to hone their skills in a beautiful, but challenging operational environment. At MVH we are passionate about teaching. Our main focus is flight training and our dedication to it is noticeable when you walk through our door. We are a commercial operator as well, with tours and charters, but we have made our flight school our number one priority. We employ highly experienced and skilled flight instructors and hold ourselves to a high standard of training. Most of our instructors did their initial training at MVH which helps maintain our high standards and consistency in training. Our commitment to our students does not end at the completion of the course. We want to see our graduates working in the industry and boast a 75% post graduation employment rate. We run a seasonal tour operation in Drumheller, Alberta which is 100% staffed by MVH graduates. We also have numerous companies who look to us every season to provide graduates to fill entry-level positions. Please visit our Post Graduation Employment tab for more information. Students in our Commercial Helicopter Pilot course will meet and exceed the minimum requirements set out by Transport Canada of 80 hours of ground school and 100 hours of flight training time. The course is a combination of classroom ground school, exercise briefings, flight training, simulator training, and hands on experience. Our commercial training program is full time with a fixed start date. Full time training courses start mid-September, mid-January and mid-May. Full time courses are eligible for student loans. Part time training is also available with flexible start dates and personalized scheduling. This option works well for those who have a rotating schedule or are unable to commit to consecutive training days. The Commercial Helicopter Pilot Course takes approximately four months of full time training. The completion date is weather dependent. The length of a part time course depends on the students schedule and availability. Full time classes run Monday through Friday from 7:30am to 5pm. Students can expect flights most days, with non-fly days reserved for ground school and study time. No previous aviation experience required. Our course syllabus will cover everything you need to know in order to become a Commercial Helicopter Pilot. Many members of the public are more familiar with fixed-wing aviation than the helicopter industry, so those interested in a career as a helicopter pilot often don’t know where to begin. We are here to help. 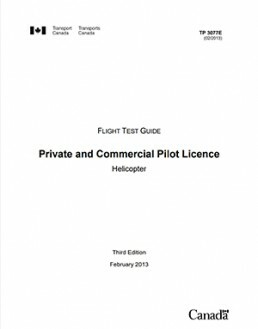 One common misconception is that you must get a private helicopter licence before progressing to a commercial licence. This may be true for the fixed-wing licence, but not for a helicopter licence. There are no academic prerequisites, although we do suggest completion of high school. A discovery flight combined with a tour of our facility is a great opportunity to introduce you to the world of helicopter flight. This will provide a good understanding of what is required to become a helicopter pilot and to help you determine if it is the career for you. All commercial helicopter pilots in Canada are required to hold a Category 1 aviation medical certificate from Transport Canada in order to validate their licence. We recommend all students complete a medical prior to starting class. To complete your medical, you need to visit an Aviation Medical Examiner who will perform an audiogram, electrocardiogram (ECG), vision test, as well as a checkup on your medical history. Category 1 – medical certificate validity period is 12 months (or 6 months if over 40 years of age). Visit the Transport Canada Civil Aviation website for detailed information on what is included in the Category 1 Medical Certificate Examination at www.tc.gc.ca. Follow this link to find a Canadian Aviation Medical Examiner near you. All of our ground school classes are offered in-house, however there is also an online option available for those students that are not able to commit to a full time class. Our qualified helicopter flight instructors teach all of the in-house ground school. 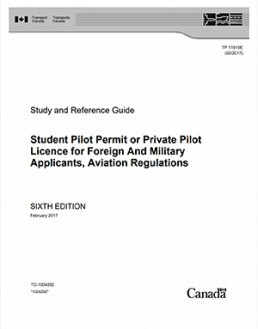 Students are required to complete a minimum 80 hours of ground school and acquire a passing grade (60%) for the Transport Canada Commercial Pilot – Helicopter written exam. Students are eligible to write the written exam once they have completed 50% of the flight training time. During the course our flight instructors will demonstrate and allow for practice of the following exercises to get you ready for your flight test. 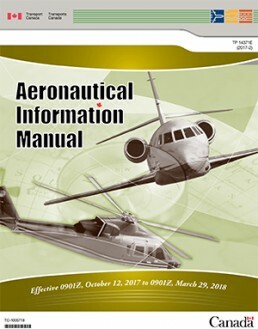 You can find the outlines of all exercises along with in-depth descriptions through the Transport Canada Flight Training Manual. The 100 hours of helicopter flight training time will include a minimum of 65 hours dual instruction time and 35 hours solo fight time. The dual time will cover all exercises and include a minimum of 10 hours instrument time (5 of these hours can be done in our simulator), and 5 hours of cross country time. The solo time will include most non-emergency exercises and must include a minimum of 10 hours cross country time. Each flight will begin with a one-on-one briefing with an instructor to discuss the exercise, safety considerations, the weather, and to ensure all the proper steps and procedures are being adhered to. We have numerous course options depending on the aircraft types you are looking to fly during your training. All commercial courses meet Transport Canada flight training requirements for the Commercial Helicopter Pilot Licence (CPL-H). 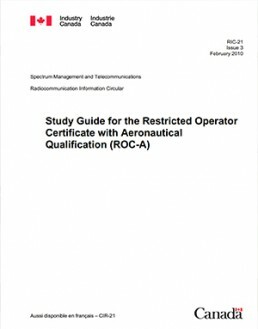 This includes a minimum of 100 hours of flight training time, 80 hours of classroom ground school and exercise briefings, required exams, flight test time and fees, licence and endorsement fees and paperwork courier fees. The following is a list of our popular Commercial Course options. These fees are based on attendance to a full time course. If you have questions about the courses, or if there is a different option you would like to see please contact us to discuss options. Information about our fleet of helicopters can be found here. Not sure what helicopter is right for you? We’ve written a small article about the different types. Courses that include Advanced Training have additional time set aside to include operational training that can be tailored to a students needs including mountain training, slinging, long-lining and hover exit. Mountain View Helicopters is a Designated Educational Institution. 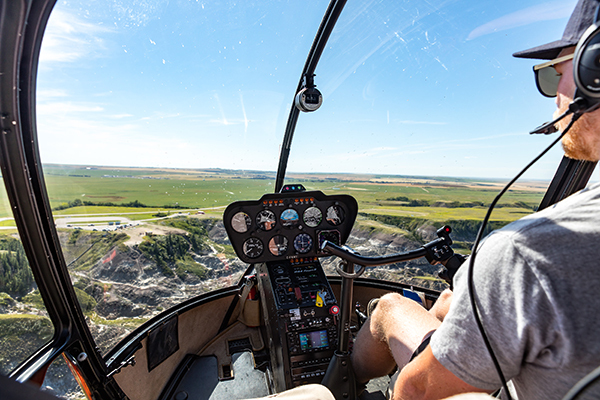 Students enrolled full time in our Commercial Helicopter Licence Course are eligible to apply for funding through Alberta Student Aid, if they live in Alberta, or through the province in which they reside. Students in our programs are also able to withdraw RESP’s if they have them and are able access funds they may have saved in RRSP’s through the Lifelong Learning Plan. Full time commercial students at MVH are also eligible to apply for a $2500 Scholarship through the Echoridge Educational Foundation. This scholarship is awarded to one student in each of our full time courses. Application information is provided in the first week of class. Mountain View Helicopters is committed to getting our graduates working in the helicopter industry after graduation from our program. A post graduation employment rate of 75% really attests to our dedication to our graduates. In 2003 MVH started a seasonal tour base in Drumheller, Alberta with a goal of being able to hire from our graduates each year to fly helicopter tours. This was a successful endeavor and we just celebrated our 16th season at the Horseshoe Canyon in the summer of 2018. Heli-Source a helicopter company in Red Deer, Alberta hires low time pilots exclusively from Mountain View Helicopters. Pilots who are successful in their program often reach 1000 hours of flight time within 5 years of employment with Heli-Source. While Drumheller and Heli-Source are great avenues for our graduates to kick-start their exciting careers they are not the only options. We have graduates each year find employment all over Canada often through contacts that our instructors have in the industry. Phoenix Heli-Flight, Ops Mobil, Forest Helicopters, Valhalla Helicopters, Buffalo Aerial Services Ltd., Alpine Helicopters, Great Slave Helicopters, Valley B Aviation, Bighorn Helicopters Inc., are some of the many companies that MVH graduates have started their careers with. What type of helicopters do you train on? Our main flight training helicopters are the Robinson R22 and R44. These piston engine helicopters are the most popular ab-initio training helicopter in the world, and they are often the types of helicopter that a new pilot will fly for their first job. 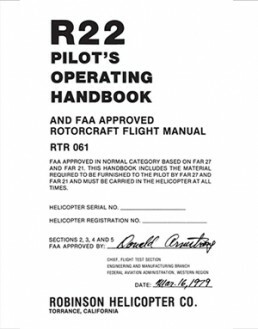 The R22 is a cost effective way to obtain your initial helicopter pilot licence. 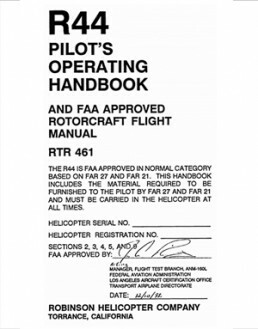 With experience in the R22 the transition to the R44 is quick and easy. 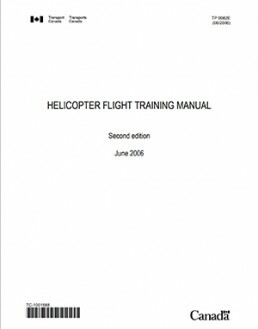 We also offer training on turbine helicopters using the Bell 206 JetRanger. Students may choose to do their entire course in the JetRanger, or just an endorsement. Does Mountain View hire their graduates? Mountain View Helicopters is both a flight training unit as well as a successful commercial operator. Although we cannot guarantee employment to every student, we do hire some of our graduates to operate our seasonal tour base near Drumheller, Alberta. Also, our company president, Paul Bergeron, is well known in the helicopter industry and has worked to establish relationships with operators throughout Canada to help place our graduates. Do I require any previous flying experience? No previous experience is required. Most people that enrol in our training program have never flown an aircraft before. 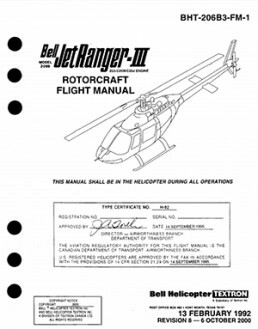 Do I need to fly airplanes before moving on to helicopters? No fixed wing experience is required. Helicopters and airplanes fly using different principles and controls. Although the general aviation knowledge you acquire while flying airplanes may prove useful in your helicopter training, some fixed-wing habits actually make learning to fly helicopters more difficult. How old do I have to be to get a pilot's license? You can begin training at any age, but you have to be 16 years old before you can fly solo. You must be 17 to be issued a private helicopter pilot licence, and you have to be 18 years old to get a commercial helicopter pilot licence. Do I need perfect eyesight? No. You only need vision that is correctable to 20/30 with glasses or contact lenses. What is a Category 1 Medical Certificate? Students enrolled in the Commercial Helicopter Pilot program will need a Category 1 Medical Certificate completed before their first solo flight. The exam begins with an approved Civil Aviation Medical Examiner filling out a Transport Canada application/medical history form. You will be required to have an ECG as well as an audiogram to complete the Category 1 Medical requirements. The validity period is 12 months if you are under 40 years of age and 6 months if you are over 40 years old. For a list of Civil Aviation Medical Examiners near you contact our office, or visit the Transport Canada Civil Aviation website. 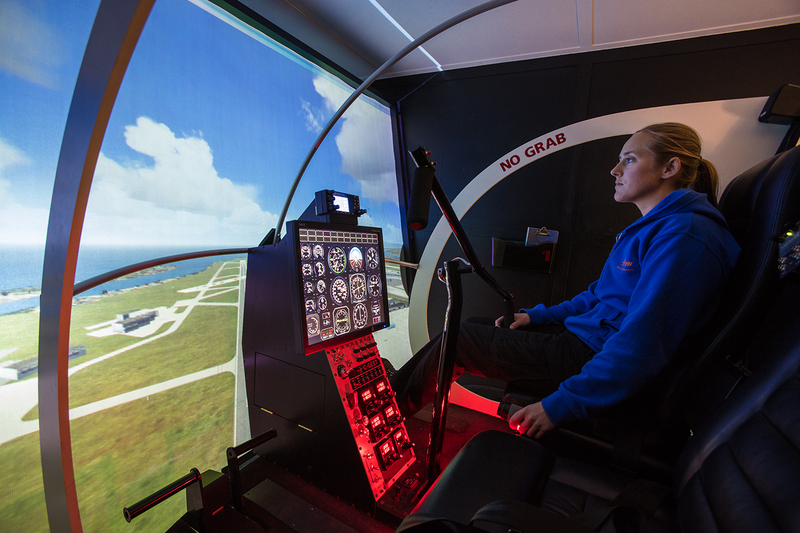 What factors should I consider when choosing a helicopter flight training school? Location? Flight Instructor experience? Reputation: is the school well known and respected within the helicopter industry? Number of helicopters and variety of types? Is there in-house maintenance? What are the facilities (classrooms, simulator, common areas, etc.) like? Possibility of employment after graduation? How long is the helicopter pilot program? The Commercial Helicopter Pilot course takes approximately 4 months full time. The Private Helicopter Pilot course takes approximately 3 months full time. The completion date is weather dependent. If the training is done part time the course will take more time and this depends on both the weather and the students schedule. The best way to get started is to contact us to discuss the training options that are right for you. You may wish to tour our facilities or schedule a Discovery Flight to learn more about our training program. You will need to complete an enrollment form and return it to us with a deposit to hold a place in one of our courses. Although you can begin training before you obtain a Category 1 Medical Certificate, we recommend starting the process prior to your course start date. This will ensure any issues that arise can be dealt with ahead of time. Then arrive on your scheduled start date, and take it from there. Do you require the full tuition up front? No, and you should be wary of any school that requests full tuition at the start of the course. At Mountain View Helicopters we request instalments for your training in increments throughout the program. As you fly, your account balance decreases. When your account gets low, we ask for another instalment. 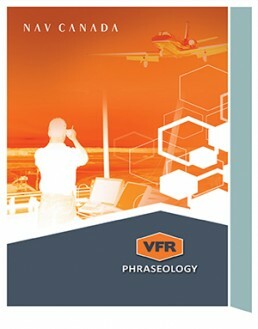 The frequency of the instalments increases as the course progresses due to the student flying more hours per day than at the beginning of the program. Mountain View Helicopters does not provide financing, but is approved by Alberta Advanced Education as a Private Vocational Institute, Student Aid BC, and by Human Resources Development Canada (HRDC) as an Educational Institution. Our facility is approved for RESP use. Student Loans, grants and other bursaries are available to the students that qualify for them. Alberta Students can check online through www.alis.alberta.ca. Student funding is also available for some people through EI, HRDC, and WCB for flight training. The Government of Canada provides a ‘Lifelong Learning Plan’ where students may withdraw up to $10,000.00 per calendar year from their RRSPs to fund their education. The funds are paid back over several years, which helps to ease the financial burden. 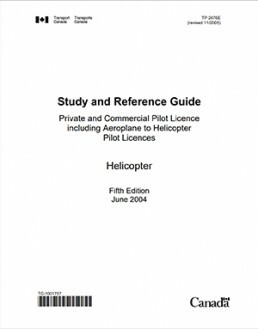 Many students have used their savings from working as well as other funding to obtain their helicopter pilot licence. The bank that you have been dealing with for your other financial needs is also a good option if you are looking for funding. Are you applying for student loans?